David will shortly be taking up his new role with Hard Rock Café for the EMEA region after completing a four year assignment leading Al Tayer Retail’s multi branded restaurant group of twelve International franchise and own brands including Armani Caffe, Almaz by Momo, Caffè Nero, Magnolia Bakery, Serendipity 3. 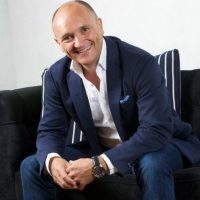 As part of the Group’s Senior Executive team he was also responsible for the F&B new concept development in Bloomingdales, and Macy's in Dubai, Abu Dhabi and Kuwait. Previously to Al Tayer, David worked in Russia and the CIS as Brand Director for Rosinter Restaurants and as New Brand Concept Development Director on behalf of Mercedes Benz (Russia) charged with developing a new innovative restaurant concept. Prior to Russia, David spent over 25 years in the UK running, and building equally interesting restaurant brands.